The Vishala Yakshini Mantra Sadhana is commenced in the Hindu Month of Ashad, in the period of theVishakha Nakshatra [Alpha Libroe], during 3rd Prahara of the night, this falls at around 3 O’clock in the night. ; sitting under a Datura Tree [(Brugmansia Arborea]; in a Smashan Bhoomi[Graveyard]. This is the complete Chandrika Yakshini Mantra Sadhana. This is a most Aghori and Tamas Guni Yakshini Sadhana which is done in a Smashan Bhoomi [Graveyard]. The Sadhana is commenced at 11 O’clock at night on a Monday during the period of the Ardra Nakshatra [Alpha Orionis] near a dead body. 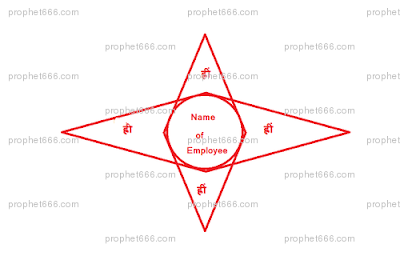 The Sadhak arranges human bones in a manner resembling the Ardha Chandra [Half Moon]. 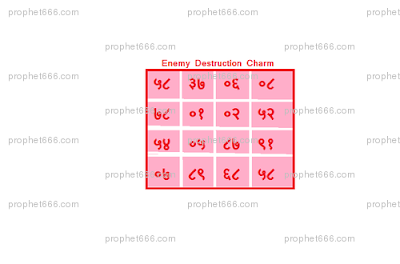 An enemy destruction charm for the total annihilation of the enemy is given in this post. This is Yantra which is independent of any kind of mantra or tantra; hence it is a charm which can be used by anyone for just and proper use. This means you are at the receiving end of a powerful and resourceful enemy against whom you are helpless to take any action. This is the second Kameshwari Yakshini Mantra which I am giving. This Yakshini is particular important in the Tantra of Vashikaran, Akarshan and Mohini Vidya. The other more common and popular name by which she is worshipped in the Tantra is by the name Kamakhya Devi; the Goddess of desire and attraction. Another less known name attributed to her could possibly be Kamini Yakshini. You can see the description of her in this post - Kameshwari Yakshini Mantra. This is a Remedy to make Brides happy in Husbands Home. This remedy is for those who follow the joint family culture; widespread in countries like India. The newly married girl, even if there is a love marriage has to contend with not only her husband; but also all the other members of the joint family; notably her In Laws. There is absolutely no need to spend a lot of time and money during Diwali to make or purchase a Laxmi Yantra. 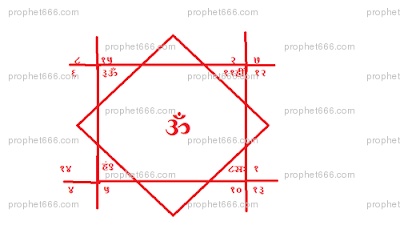 This is the Laxmi Vijay Yantra which is said to be most auspicious when prepared during the period of Diwali; especially on the day of Laxmi Poojan. 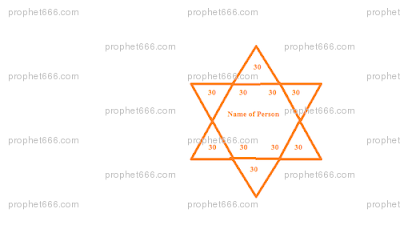 Many people in India have experienced the benefits of this Yantra and hence it is considered to be a tested one. 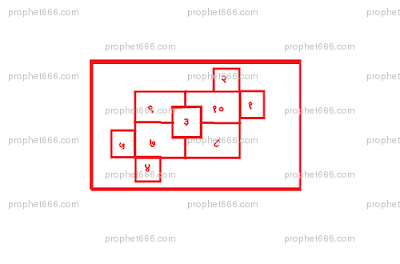 This is one more of the Vashikaran Yantras which are prepared to attract enemies and resolve disputes without getting into fights, quarrels and nasty arguments. This is known as the Vata Yakshini Mantra. This Sadhana is conducted during the night. The Sadhak has to sit at the place where 3 roads meet. The number of chants required to invoke this Yakshini are 300,000; this chanting has to be done continuously over a fixed period of time. 2011 11/09 I gave (as my FBW 32, revised some from in FBW.Z) how multilevel homes cylinders (having 14 2m levels, with the 8m radius central effective 4*2m "levels" actually being one open volume, being good as an open shared play park central volume in each such homes cylinder), might be well formed most convenient for many to live closer than in Earth city-blocks houses, while having shared inner yards & shared fruits bushes & trees inside between the ends of a homes cylinder. Since a Fullball world is largely an air filled balloon world, all weights within even a much enlarged one will stay virtually zero throughout, (great for most easy air swimming to reach nearby friends). Yakshini Mantras and various forms of Sadhana are widely practiced by a large cross section of the practitioners of Tantra in India. A large part of this worship is mostly Tamsik and Aghori in nature. Yakshini worship is also widely prevalent in Jainism which lists 24 Yakshinis as guardians of various purposes. The Hindu text the Uddamareshvara Tantra has listed the number of Yakshinis as being 36 in all. However the exact number of Yakshinis according to my opinion has not been arrived at and it appears possible that it might never be arrived at conclusively. The calling of spirits or atmas as called in Hindi goes backs a long way in time; the method used in this supernatural practice varies with culture, traditions and religions. However the end goal of all these methods is one and the same to summon a spirit and get answers to the past, present and the future. Hindu Philosophy describes time and again that no mind lives in isolation; everything is connected and part of one big mind. This has striking similarities to the Internet and cyberspace. Both operate on the same principles. Based on this Philosophy is a likely science fiction scenario for the near future. A huge War; the one to enslave the mind. What to do with materials/ ingredients, used for the Mantra/ Yantra/ Puja/ Sadhana; once the Sadhana is completed. What to do with the left overs, unused material used in the Sadhana. The genuine Dakshinavarti Shankh; also known as the Right Opening Shankh is found very rarely and that too to a fortunate few. This is a Conch Shell is said to be a most powerful Charm which is said to attract Laxmi. This Shankh or Conch Shell is normally kept in the home or at the place of work; like an office or shop. Hindu religious scriptures including the Vedas, state that the Goddess Laxmi always resides in the place where the Dakshinavarti Shankh is kept. 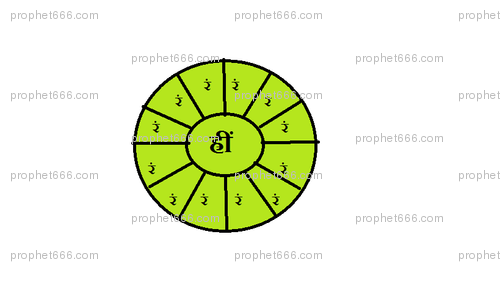 This is a small but potent Mahalaxmi Sukh Samridhi Mantra. The mantra is a very famous and popular one; in this post I will tell you about the correct procedure to practice it. The Mantra Sadhana is commenced on a Thursday in the period of the Mriga Nakshatra [Lambda Orionis] by taking a pledge to complete the Sadhana. This is done before an idol or image of Mahalaxmi Mata. In an earlier post, I had written about the Shri Gajanan Vijay; the miraculous Pothi of Shri Gajanan Maharaj of Shegoan. I wish to add that devotees can also gain material benefits; including resolving problems in getting married and remove delay in marriage from the Parayan of this text; Parayan is a Marathi word for the reading with total devotion any religious scripture. This is a Ganesh Mantra Sadhana for unsuccessful businessmen. Businessmen who experience continuous failure in business can try this remedy. On any Thursday pluck some grass surrounding the Krishna Tulsi Plant. This is the darkish variety of the Holy Basil Plant; the one whose leaves are darkish in color. This is a most powerful Hanuman Sadhana which is practiced to get back irrecoverable loans, given to someone who has disappeared or gone to a foreign land. This remedy is also said to bring back someone from another country; someone whose chances of coming back are remote. This remedy involves the reading of the Hanuman Chalisa and has to be practiced for 43 days at a stretch. This is an extremely effective mantra for attraction invoking the fearsome Avatar and manifestation of the Mother Goddess; the Chamunda ;Mata. 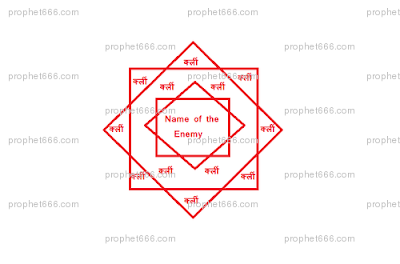 It will be interesting for readers to note that Chamunda Mata, here in this Vashikaran Mantra is invoked as Chandi; the Supreme Deity of the Devi Mahatmya; the all powerful ONE; a combination of all the great Maha Shaktis. Hence a word of caution; the Sadhana is only for the extremely advanced Sadhak of Shakti Worship. The advanced Sadhak is the one who has practiced and experienced the powers of Tantra, he knows how to practice and use such powerful mantras. If you are not one of those then please stay away. Whether you are a boy or a girl of marriageable age, all you hope for is to get married at the right age and start your own family; as per the Indian culture and traditions. However many people find that their marriages are unnecessarily being delayed; this could be due to invisible and unknown reasons. A defining period in the history of India is looming on the horizon. The current events unfolding everyday in India; firmly in the clutches of corruption, looting and the sword of criminals, dangling over the heads of the common man can hardly be ignored. This site has over the years closely watched these developments as they are certain to engulf the whole nation and spread over to other parts of the world; for over 1.2 Billion of humanity lives here. In response to a large number of requests, today a specific and unique Kamdev Mantra for Husband-Wife relationship is being posted. This Mantra Sadhana is for those couples who find that there is something missing and lacking in their relations. Kamdev is the God of Love; so without going into details, you can understand what this Sadhana is for. There is a specific Tantra, mentioned in the Indian spiritual texts which advises on the direction in which a person should sleep, the positives and negatives of sleeping in various directions; the benefits and drawbacks. I will simplify and highlight the main 5 points to be noted for the followers of Hindu Tantra Vidya. An Aquarium has been given much importance in the science of Feng Shui, it is considered as an auspicious energy generator. It is said to usher in domestic harmony and peace. It can be kept both in the house or an office to attract positive energy and as a good omen. This is a tried and tested remedy to deflect malefic, negative or harmful energies from entering your home through the main door. This remedy is for those who live in flats and apartments and who find that the people staying in the opposite flat have placed dirty and old things outside their main door. This is a remedy for back pain in women. The cause of such pain in women is quite common. However in the case of many it is chronic in nature; probably harmonal and medication does not give the desired results. Such women if they believe in Indian paranormal remedies can try this particular remedy. Brain Mantras are those which mantras which stimulate the brain into expanding and working to its full potential. Normally it has been observed that the human brain is utilized to only a fraction of it actual capacity as it has forgotten its true function and what it was really intended to do. We think and live in fragments and hence fragment the brain. The brain then functions and fluctuates between the various fragments; the child, parent, the teacher, the employer, the employee and numerous such roles which man simultaneously plays in his life; like an actor. In between playing these roles it forgets its real capacity and becomes fragmented. Daan means offerings as charity; and specific offerings as a remedy to avert the ill effects of Debts, Enmity and Sins has always been recommended in the Indian astrological texts. The simpler and cost effective ones; which one can perform himself are given here for those who have faith in such remedies. Death comes to one and all at some time or the other; that’s the law of nature and what is born has to die. However there are some who are fated to have an untimely death; this is said to disrupt their natural life and birth cycle and their smooth evolution towards the higher stages. This is an attraction charm to get work done. This charm is a standalone Yantra which has no mantra or Sadhana attached to it. The charm is said to attract even the most powerful of people towards you, make them favorable to your ideas so that you can get your work done by or through them. A specific Tantra to be disease free for life is given here; this is an Aghori Tantra [Black or Fearsome]. I will describe it as it is actually practiced by some Tantriks. On the day of an Amavasya, the Tantrik catches a crow and keeps it in a cage and then goes to sleep. This is a 2 line Abhang of Sant Tukaram Maharaj; which is chanted just like any other mantra to fulfill the desires of your mind and make dreams true. These lines penned by great saints and realized masters who had achieved the elusive state of oneness with God have magical and supernatural properties attached with them; this is the experience of many of their devotees.